What’s The Agenda went off with a big festival BOOM, bringing in creative people from all over the city to create, instigate, and talk about art for social change. “Occupying mac’s Foyle Studio for the duration of the festival, an array of installations and performances awaited those who entered. Haiku poetry, immersive theatre, sculpture, film and visual arts exhibition Side View were just some of the vessels employed here to investigate when art becomes a political act and how creativity can incite positive social change; a mixing pot which lay testament to both the collectives’ broad range of skills and the breadth of mac’s support for the regions diverse creative future. – Taken from online review by Illustrated Brum. Categories: Art, Blog, Design, Digital Media, News, Spoken Word, Theatre | Permalink. Cannon Hill Café is a new programme aiming to develop emerging artists by offering young people aged between 16-24yrs the chance to engage and connect with mac birmingham: by initiating, producing and delivering their own events. The aim of these commissions is to encourage new and meaningful creative collaborations as part of theNext Gen programme at mac birmingham and to create roles for young people as producers, curators, programmers, artists and leaders. Offering young people resources including, space, production support and funds to make creative work, collaborate and test out ideas. Your proposal should be on no more than 2 sides of A4. Please note your event must suit a public space café with limited tech resources. You will have access to a sound and light PA, projector, screen and technician. Your event must be on either 6th, 13th, 20th, 27th May or 3rd June between 5pm-8pm. Your event must be a minimum of 1 hour to a maximum of 3 hours in duration. Successful shortlisted applicants will be asked to pitch their idea on Saturday 15th March 2014. We understand that proposals will be subject to change and development. We are happy to receive proposals as video, audio files, or web-based applications. To help you to develop your application you can sign up to the following free Cannon Hill Lectures in events management and/or take part in an information surgery. Further information below. Planning an event, exhibition, party or workshop? Need help getting started? Then this crash course in Events Management is for you. You will explore the planning process, going step by step through the different elements, along the way creating a useful timeline. You will look at how to get people to attend your event and how to manage the process from set up to clean up. Building on from Pt 1 this lecture offers a practical guide to Events Management. You’ll leave with a toolkit that will help you organise future events, the confidence to get started and the skills to manage the process from set up to clean up. Categories: Art, Blog, Dance, Design, Digital Media, Drama, Music, News, Opportunity, Theatre | Tags: #NextGenBrum, arts young people, Cannon Hill Café, mac birmingham, opportunity for young people in Birmingham, Spring 2014, young people | Permalink. I’ve been really lucky to have seen some amazing theatre this week. On Thursday night I went down to @AE Harris with Emma to see The Cardinals by Stan’s Cafe. It was a farcical puppet show exploring those forbidden dinner party topics, religion and politics, and I thought I had it pinned, but an almost imperceptibly slow build-up took it from hilarious to shocking. It left us both speechless, and took a while afterwards to think over. The aesthetics were beautiful, with some really stunning images, and it was executed with the amazing precision it takes to create what looks like total chaos. On Friday, I went to Warwick Arts Centre on my university campus to see Ubu Roi by Cheek by Jowl. It was another farce; the story of tyrannical ruler King Ubu, told in the context of a refined French dinner party. But despite the battles and torture being reenacted with kitchen utensils and lamps, I found myself really engrossed in the story as well as in fits of giggles. With all this in mind, we began the first rehearsal for Off Print Tales, the project Emma and I are co-directing. We brought together Cannon Hill Collective members and other performers and jumped straight into devising. We’ve got poets, actors, dancers and musicians and are bringing them together to make a storytelling style which incorporates them all. We got together in a beautiful mac studio and asked them to respond to the first part of the story, and we got some amazing material to begin creating the piece with. We had a lot of fun, and the piece is really promising so I’m looking forward to devising with the group. So it’s been a very inspiring and theatrical few days. Categories: Blog, Dance, Drama, Music, Spoken Word, Theatre | Permalink. A couple of weeks ago a few of us CannonHill-ites were invited along to watch Mark’s show; Bravo Figaro, a moving depiction of his relationship with his father and opera. Mark had kindly spent some time earlier in the evening talking to us and answering some questions about his career, his political views and anything else we wanted to know. This was an interesting insight into comedy and performance as a form of political activism. Mark is a really charming guy with a lot of important things to say and just listening to the thought process surrounding his work was great inspiration to look at art in a new light. For me personally it has always been important to work on projects that hold more than just one meaning. As appose to just being about aesthetics or reviews, exposure or money it could also be about social change, progress and the the experience of something new. Mark, with his tales of success, re-affirmed my desire to work with these goals in mind. We were also told about the way projects can develop further the more you look into them. Following leads that you think are interesting can often provide us with something that is completely different to the point that we started at and can deliver more depth, experience and value to our work. The show that followed was entertaining from start to finish but, because of what was mentioned previously, I felt as if I could spot where certain realisations and changes to the projects had come. I could see beyond the jokes and stories and understand the thinking behind them. This gave the show a feeling of ‘wholeness’. We were seeing the culmination of what Mark had told us about before. The story had countless messages about social class, politics and the structures that surround family life, all of which were communicated through heartfelt humour, passion and story telling. It made me want to see more of Mark’s work, but perhaps more importantly, to find a way for my own work to follow a similar vein of intrigue and to provide more dimensions than may be apparent at first glance. Categories: Art, Theatre | Tags: Mark Thomas | Permalink. Calling all you young makers, creators, movers and shakers! 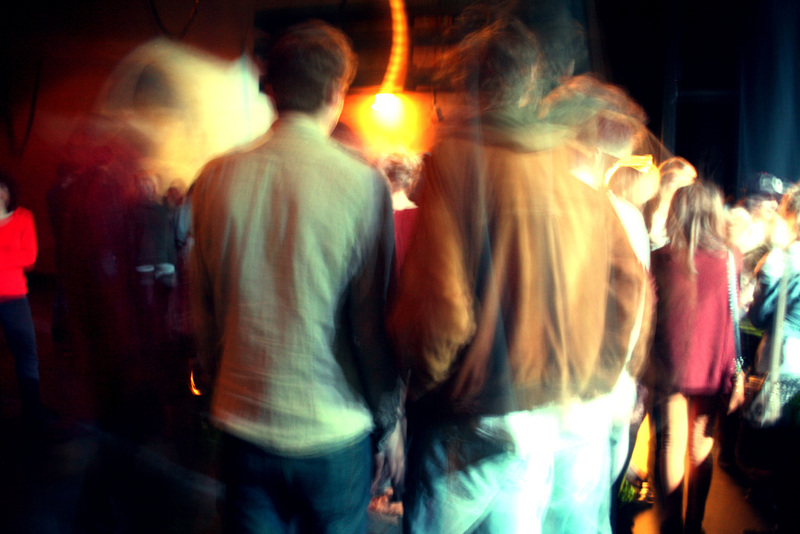 How would you like to work with the Midlands’ liveliest arts centre? mac birmingham is looking for a group of 20 young people, aged 16 to 24, to be part of mac’s cannon hill collective. You can be from any creative discipline but you must be based in the West Midlands. As part of the collective, you will come up with new ideas and develop projects from scratch, putting your stamp on mac’s fantastic arts programme. During six months spent working alongside professionals from the field, you will be introduced to top notch art, have access to mac’s events and artists, and devise original work to share with young people across the region and beyond. In the process, you will sharpen your project coordination, leadership and teamwork skills and gain confidence in decision-making, boosting your creative abilities. The collective will run from 1 October 2012 to April 2013, meeting one evening each week (with a break over Christmas) and at additional events as required. 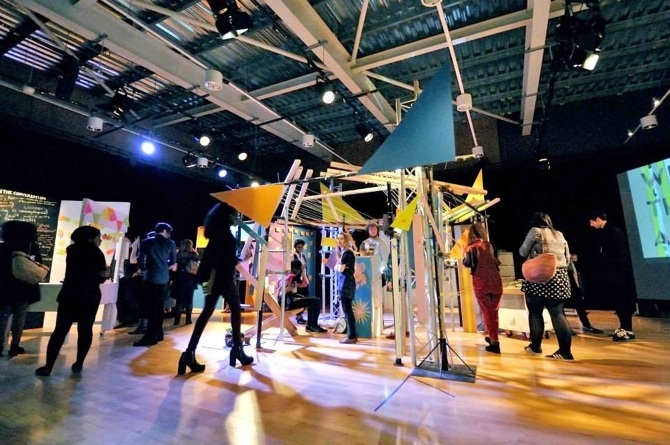 The cannon hill collective is part of the Next Generation strand at mac birmingham, which celebrates work made by, with and for young people, to discover and nurture the Next Generation of creative talent. The cannon hill collective is supported by the Monument Trust and IdeasTap. Interested? Fill out the application form and tell us why you want to be part of the collective! Shortlisted applicants will be invited to an open interview at mac birmingham on Friday 28 September, 4 to 6pm. Categories: Art, Dance, Design, Digital Media, Drama, Music, Spoken Word, Theatre, Visual Art | Permalink.